Three years ago Ebola swept through Sierra Leone, infecting 14,000 people and killing 4,000. 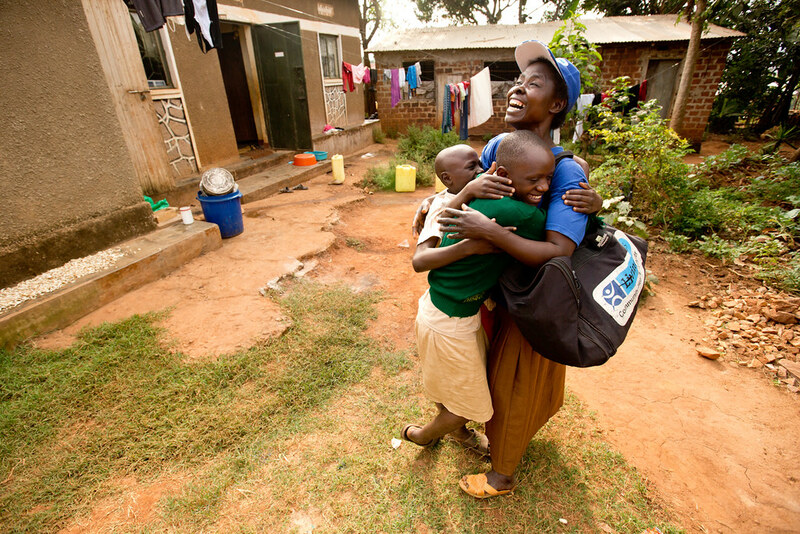 Community health workers played a vital role in halting the outbreak by identifying people with symptoms and educating families on infection prevention. The Ministry of Health & Sanitation has since adopted policies to strengthen community health even more. We want to join them in this quest. As our Health Impact Lead, you will be responsible for understanding the impact our programs are having in the communities we serve and ensuring that we are delivering impact. You will work directly with the program teams at both the national and district levels, to support our end-to-end program design and implementation. You will be responsible for generating a thorough understanding of program approaches, activities and outcomes, building on our existing monitoring frameworks, and drawing from both quantitative and qualitative methods. You will guide our team in providing data-driven support to our partners. You will oversee the quality assurance and quality improvement functions to ensure implementation fidelity and constant improvement. Since this is a new intervention, the whole program will be approached through an implementation science lens, and we will have a strong research component. We expect you to support the design and management of this research workstream. As Health Impact Lead, you will be a consistent champion of Living Goods’ impact goals, keeping a focus on not only measuring, but developing improvements to the LG model with a view to optimizing impact and cost effectiveness. Ensure program design maximises our health impact and provide overall management for M&E, research, analytics and quality assurance and quality improvement functions for the program. Collaborate with project team to build an understanding of Living Goods’ impact model for Sierra Leone. Establish appropriate metrics and support in the collection of baseline data and setting appropriate targets. Work with program teams to ensure we are collecting all of the required data points to set-up desired monitoring framework. Support data and indicator mapping for integrating with existing National HMIS systems such as DHIS2. Lead research agenda and approach to ensure maximum learning, and evidence generation to feed into policy and national scale up including both qualitative and quantitative impact evaluation. Identify and document important learning opportunities for the program, paying attention to government, donor and LG priorities, and when more formal research would be appropriate. Lead efforts to ensure adequate documentation of program implementation processes for purposes of replication and/or strategy review/ course correction. Design and lead approach to quality assurance and quality improvement on program and ensure quality control of data being collected. Ensure corrective actions are instituted and gaps closed in a timely manner. Lead on interpretation of program data and support the program team in understanding data and metrics. Identify follow up questions and necessary action items for partner and Living Goods’ team. Conduct additional analysis to build a better understanding of program successes and challenges. Follow through on learning objectives identified in pre-launch phase. Identify areas for capacity building within teams to better promote a data-driven culture. Champion this approach and provide in-house training on use of data to understand and improve program impact. Lead efforts to collate, analyse and regularly publish learning, outcomes and impact in leading community health journals and conferences. Manage reporting to donors and regularly disseminate reports. Represent LG at different fora; including with other donors, policy-makers and other entities to advocate for and influence adoption community health best practices and policies. You will build strong relationships with Ministry of Health officials. Master’s degree with a focus in public health, epidemiology or significant work experience in the global health or development space. Experience in primary health care or maternal and child health specifically. Strong training and experience with numerous quantitative analysis methods, including comfort with statistics and data visualization. Experience in community-based field work with underserved populations. General love of data and excitement for data-driven decision making. Ability to work in a fast-paced environment. Able to juggle multiple tasks at once while ‘keeping calm and carrying on.’ You think strategically, handle ambiguity and work well in a multicultural environment. Ability to collaborate with a distributed team, under pressure and with limited supervision.